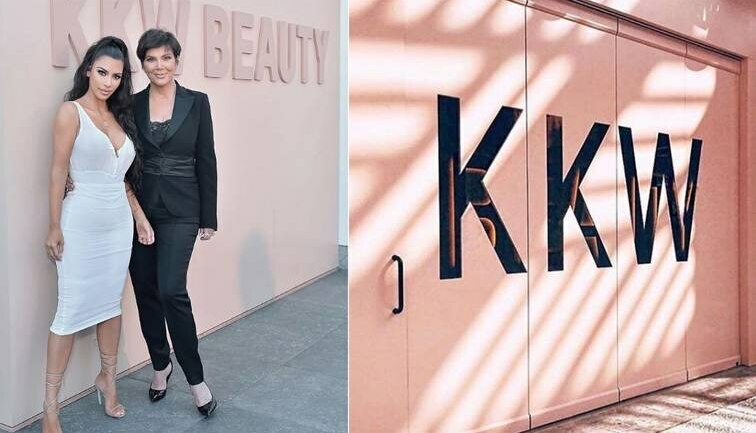 A media organisation has claimed the logo for her new perfume looks eerily similar to theirs. After making a whopping $5 million (approximately 34.5 crores) in sales just five minutes after launching, Kim Kardashian West's line of perfumes might be in legal trouble. In specific, the Kimoji Vibes, with notes of bergamot, jasmine, apple blossom and peony, is likely to be destroyed if Vibes Media has its way. A marketing solutions brand, Vibes Media has claimed that the reality-star and entrepreneur's perfume bottle design is copied from their trademarked company logo. Vibes Media is suing for unspecified damages and is unhappy with the fact that the social media star is using her influence on social media to promote the perfume. According to The Blast, Vibes Media is also seeking to bar the star from promoting the perfume and wants all unsold bottles destroyed to prevent further profits from it. Kimoji Vibes currently retails at $45 per bottle on the KKW Beauty (Rs.3,000 approximately) website and is quite popular amongst the star's fan following, celebrity friends and family with many of them posting about the perfume on their own social media platforms.